Education Seekers are the most commonly sought after leads in the education industry. These prospective students are already considering career training, so the idea of going to school is not foreign to them. While that makes the admissions process somewhat easier for your staff, there are problems with leads who have already begun the process of researching potential career fields and schools offering their program(s) of interest. Education Seekers typically convert at a lower rate than other lead types. Oftentimes, they will voluntarily contact multiple schools before choosing a program. This means that your competitors are also working the same prospective student as you. If the student accidentally stumbled upon a lead aggregators site and filled out a contact form, they may have had their information sold to multiple schools (including your own) which can be undesirable for your admissions team. In these instances, it is not unusual for the first call you make to your prospective student to be the 3rd or 4th call they have received altogether. There are two factors that will affect your cost in generating education seekers as leads: costs associated with conducting your own advertising and labor costs. If you are vying for the same target audience as your competitor, your advertising costs inevitably increase, particularly in pay-per-click style advertising campaigns. However, there are other options. Purchasing leads from a vendor can be a slightly more affordable way to gain access to these same leads. Although, you have very little control over the way these leads are generated, and can never really be sure how many different vendors each lead is being distributed to. In terms of labor costs, it is not uncommon for career colleges and trade schools to waste thousands of dollars in manpower chasing down leads that have an extremely low conversion rate. Targeting the right kind of education seekers as prospective students can help lower your costs and improve your conversions. The highest-quality education seeking leads are those who remain in control of the search process. These are leads who are wise to the role of aggregators and are careful about giving out their information to a prospective school. While labeling leads who are less likely to share personal information as a “higher-quality lead” may sound counter-intuitive, it is actually an easily qualified statement. 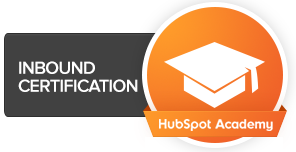 When targeting education seekers as leads, you should avoid spending any money on advertising, and focus entirely on the inbound marketing process. Invest the dollars you would have spent marketing into optimizing your brand, both online and on the streets. Create adaptive processes that are designed to handle these types of leads specifically, ensuring that a careful, education seeking lead is nurtured the right way, and brought into the sales cycle gently at their own pace. Creating such processes can help you drop advertising that targets these types of leads, and greatly reduce the amount of time spent attempting to convert these leads into students.